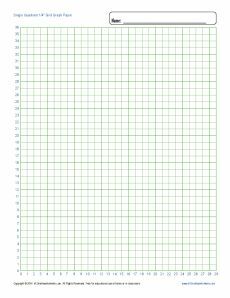 This graph paper features a single quadrant, so there's plenty of room to work. Teachers, students and parents will love how convenient it is! Print a few or print a lot, it's up to you!